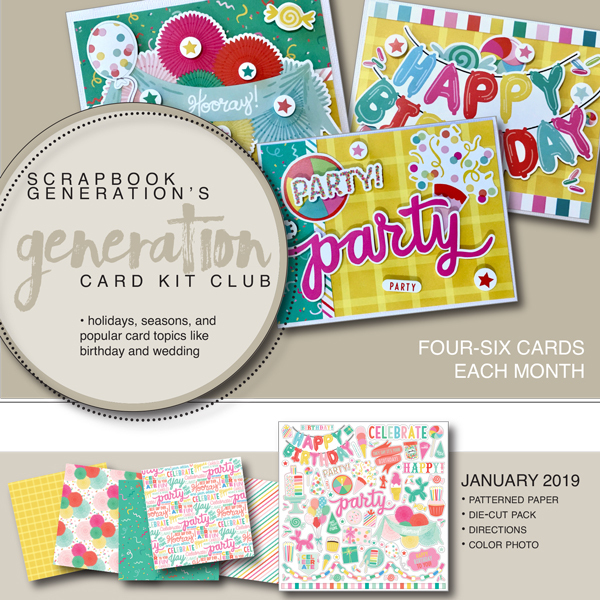 SCRAPBOOK GENERATION OFFERS SEVEN UNIQUE MONTHLY CLUB SUBSCRIPTIONS. Save time with our pre-designed layouts, automatically shipped to your door each month. Club members can also take advantage of "Club Member Only" shopping and add regular store orders to their club shipment for free! 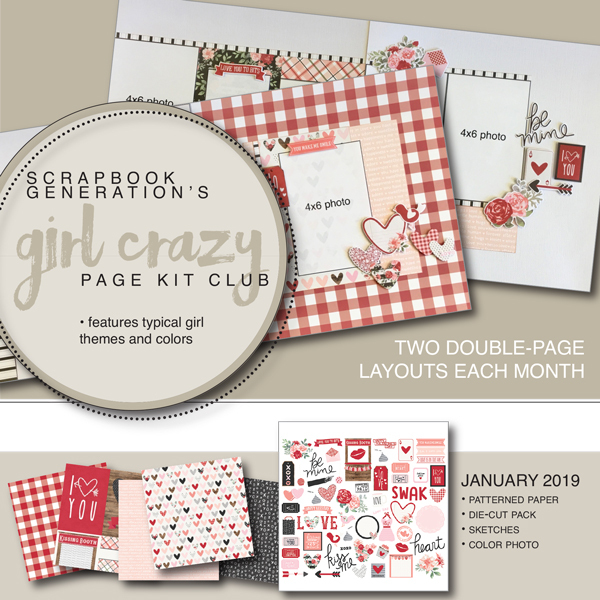 Part A: 5-6 sheets cardstock; 3-4 sheets patterned paper; and a sticker sheet or diecut pack; plus three sketches, a color photo, and a cutting guide -- you make three double-page layouts. 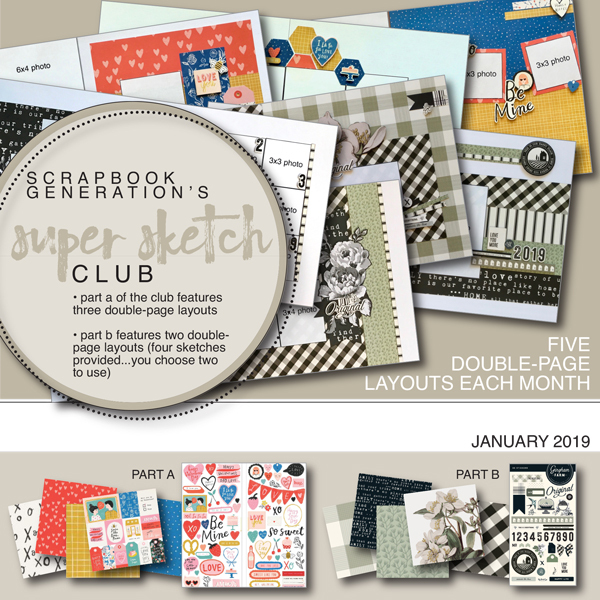 Part B: 4 sheets cardstock; 1 sticker sheet; 2-4 sheets patterned paper (depends on size of sticker sheet included that month); plus four computer sketches (two by Debbie Sanders and two by Allison Davis) and color photos -- you choose the sketches you like best and make two double-page layouts. Bills on the 20th, ships 3-5 days later. Part B (first set): 4 sheets cardstock; 1 sticker sheet; 2-4 sheets patterned paper (depends on size of sticker sheet included that month); plus four computer sketches (two by Debbie Sanders and two by Allison Davis) and color photos -- make the Debbie Sanders layouts. Part B (second set): 4 sheets cardstock; 1 sticker sheet; 2-4 sheets patterned paper; make the Allison Davis layouts. Keep your albums up to date with this monthly subscription. 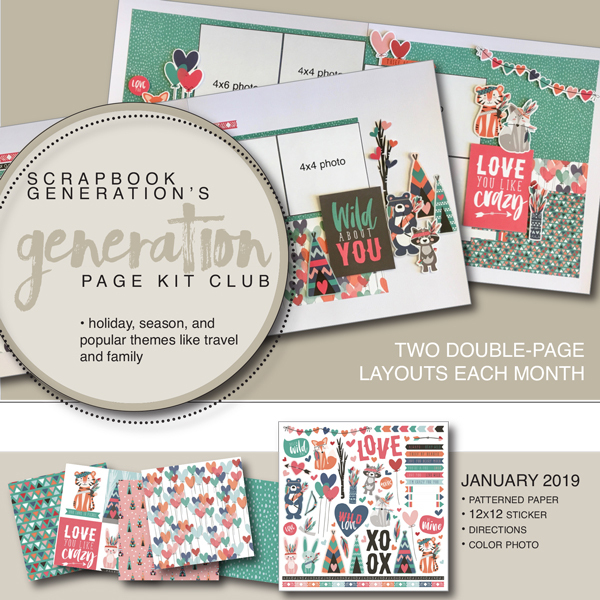 Featuring practical themes - holidays, seasons, family, and travel - this kit contains supplies to create TWO coordinating double-page layouts each month. 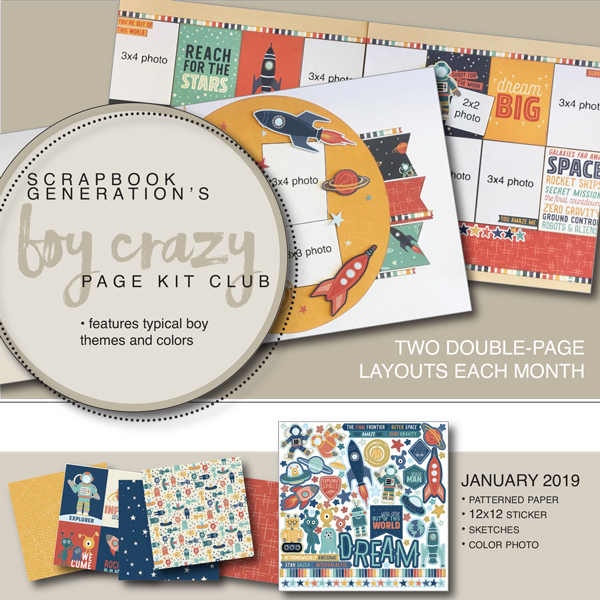 KIT INCLUDES: all papers and embellishments to create both layouts; color photo; detailed instructions. Bills on the 1st, ships 3-5 days later. Have a ton of pictures, but aren't sure where to start? Look no further! This club features general themes and colors that can be used for a wide variety of life events. 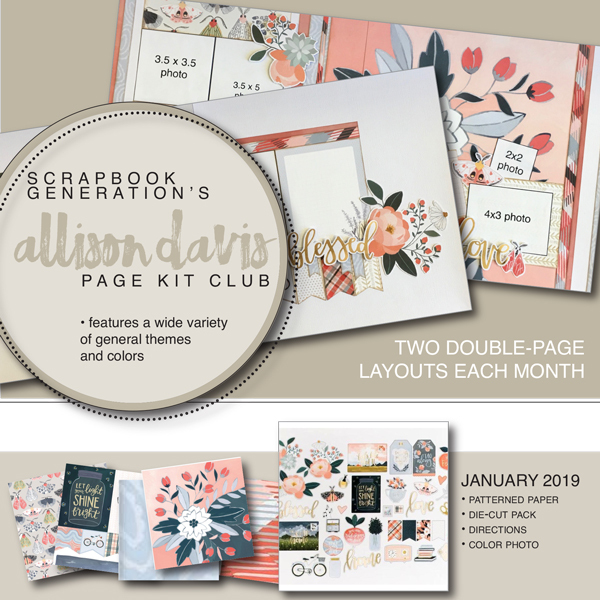 Girls, girls, girls - keep the memories of the women in your life beautifully preserved with this monthly subscription. Never forget those precious boyhood memories with this boy themed monthly subscription. Everyone loves handmade cards! Create holiday, seasonal, birthday and wedding themed cards with this monthly subscription.